The Digital Marketplace is transforming government procurement. We want to make it easy for suppliers to sell to government so that we can deliver great digital services. We collaborate with Crown Commercial Service (CCS) to provide a service that connects cloud and digital suppliers with public sector buyers. Recently we stopped publishing the spend data for the Digital Marketplace. We did this so we could move the data to its new home on GOV.UK. This gave us the opportunity to look at how we use data and through looking at it, determine what’s important to our users. First and foremost they can buy stuff from them! As an indication that we’ve moved on from this, as of July 2017, total spend through the Digital Marketplace has exceeded £2.6 billion. Of this spend, 45% was through micro, small or medium-sized enterprises (SMEs). The Digital Marketplace offers many SMEs their first chance to supply to government. A contract with the government can help startups get funding, which helps them scale their business. So far, £1.39 in every £3 spent through the Digital Marketplace has gone to SMEs. The European Union's definition of an SME is a point-in-time status based on its number of employees and its turnover or balance sheet. So as small businesses grow as a result of government’s spend with them, over time we’ll naturally see a change to that status. As we push forward with CCS on public sector procurement reform, it's been fantastic to see the impact. More and more digital and technology suppliers are emerging as examples of economic growth. This has created new job opportunities. It has encouraged the creation of new products and services using emerging technologies. It has also attracted inward finance from overseas companies and investors. 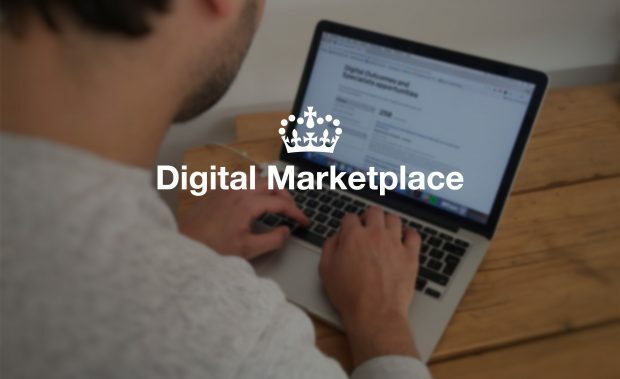 You can find a detailed breakdown of spend data for the G-Cloud, Digital Services, and Digital Outcomes and Specialists frameworks on the Digital Marketplace sales page on GOV.UK. One of the key aspects of the Government Transformation Strategy relates to data. Specifically its ability to act "as the foundation upon which everything else rests". As a result, we are looking at how we can improve and open up procurement and contract data. As well as our work on the digital contracts alpha, we are looking at the implementation of the Open Contracting Data Standard (OCDS). It was recently approved by the Open Standards Board. 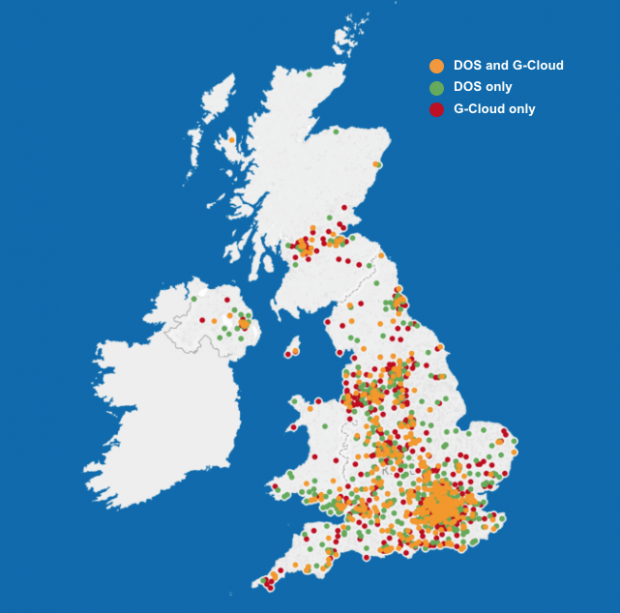 The OCDS enables the UK government to make data open. It makes it transparent and machine-readable throughout the process of planning, procuring, awarding and delivering public sector contracts. This includes spend data. Spend data helps us to identify where we can better support digital and technology suppliers. It shows the spread of supplier diversity across the UK, and where the UK taxpayer’s money is going. We use this data to design the Digital Marketplace in a way that meets our users’ needs. For the time being, we’ll be publishing our spend data quarterly. We will determine how we can present it in a way that’s useful for suppliers, the rest of government, and citizens. If you have any thoughts, comment below. You can follow the Digital Marketplace on Twitter. So far, £1.39 in every £3 spent through the Digital Marketplace has gone to SMEs." These two figures look like they are describing the same thing (share of DM spend to date spent with SMEs), but are different. Am I missing something? Would be useful to have data on how quickly SMEs are being paid. I suspect that's quite important to many.